Metavasi.com - Rafting, Kayak, Rappel, Mountain Bike, Kayak Camp. We organize alternative sport activities. In 1997, Metavasi came to life. 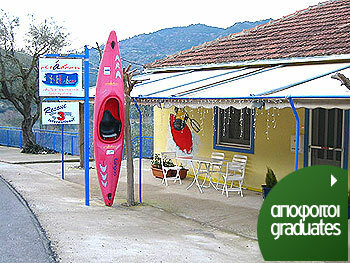 Based on international standards this school's target was to rock the waters of whitewater kayak training of all levels in Greece. 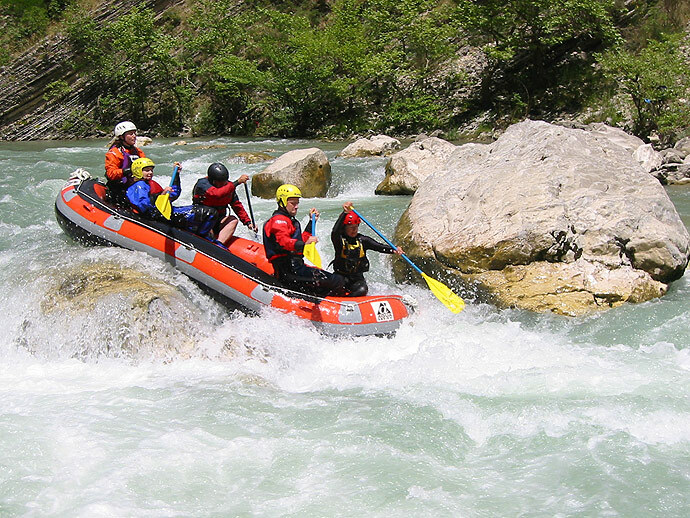 Until 2002 our school's adventures with whitewater excursions in Greece and abroad were unprecedented for Greek standards. Extraordinary in number was also the introduction and training of new people to this field. In 2002, Metavasi expanded its operations to include numerous outdoor recreation activities (rafting, abseiling, mountain bike etc). At the end of 2003, the company became the Greek agent for the international rescue training organization "Rescue 3 International". Now, for the first time, internationally accredited rescue courses are offered in Greece. These courses are particularly relevant to: Firefighters, Rescue teams, Lifeguards, Rafting guides, kayak instructors and all people that operate in a swiftwater environment. 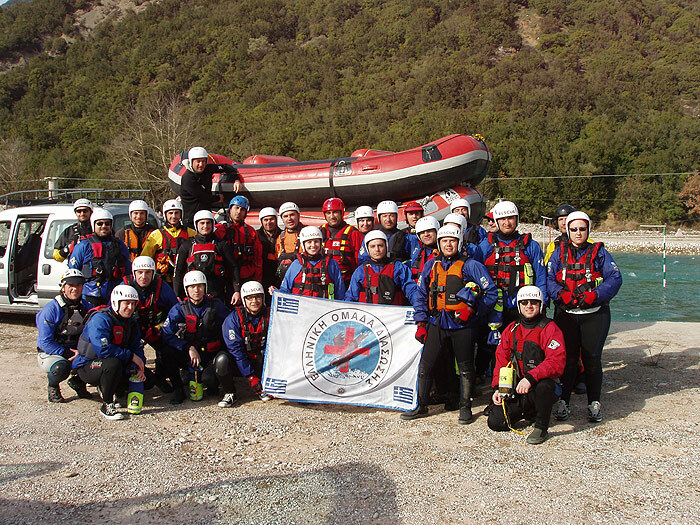 The rescue courses are primarily taught at the Evinos River (250 km from Athens), where our company's facilities are located (classroom with advanced teaching equipment, river and rescue gear, change rooms etc). However, courses can also be delivered anywhere in Greece, upon request. John Holevas is the father and director of Metavasi. He is a Rescue 3 International instructor. He is a kayak instructor, and a kayak slalom coach of the General Sports Secretariat of Greece, a kayak coach of the Australian kayak Federation and the British Canoe Union, and a kayak instructor of the German Federation (V.D.K.S.). He is also a kayak assessor for the B.C.U. and the kayak slalom coach for the 'Athens Kayak Club'. He is Rafting Guide instructor of the British Canoe Union (B.C.U.) and Rafting Guide Instructor (Unrestricted) of International Rafting Federation (IRF). He was responsible in charge for the water safety team member for the canoe-kayak slalom during the olympic games in Athens. Lastly, he is a Volunteer Samaritan for the Greek Red Cross and a member of the Greek Rescue Team (of Athens). He has traveled extensively to continuously improve his skills and knowledge in instructing, paddling, and rescue to the following countries: Slovenia, Czech Republic, F.Y.R.O.M., Great Britain, Germany, France, Austria, Spain, Australia, Canada, and Switzerland. Acknowledging the fact that in order to maintain high standards of services one needs to have a high level of skills and theoretical knowledge, he continues to travel and to materialize his goal.